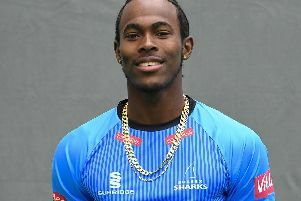 Sussex Sharks batsman Laurie Evans said it is important to get off to a good start in the Vitality Blast. And that's what Sussex have done after beating Essex and Glamorgan in their opening two games in the T20 competition. Evans hit an unbeaten 65 as the Sharks chased down the 174 target set by Glamorgan for the loss of just two wickets. Evans said after his team’s win: "It is so important to get off to a good start, and those two wins against good T20 teams is a bonus.